The minerals of the Carrara marble are among the most known italian minerals. 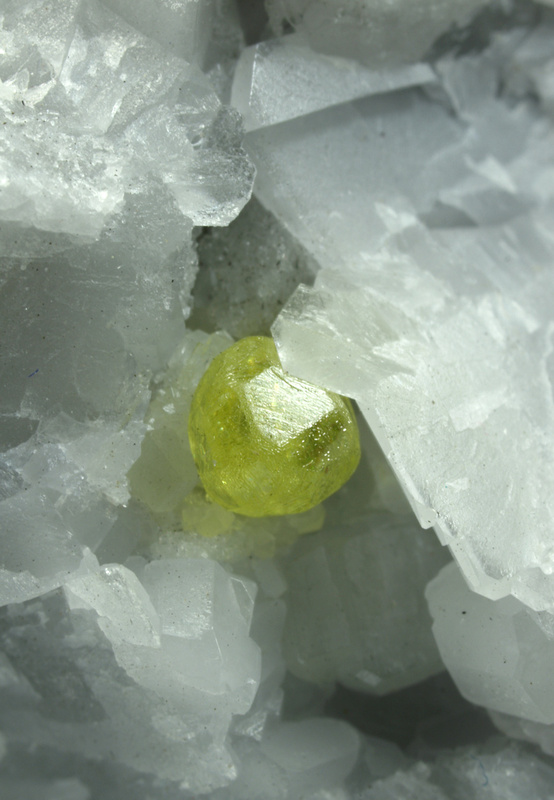 What characterize these minerals is the perfection of the shape of the crystals, the incredible trasparence and sharpness. 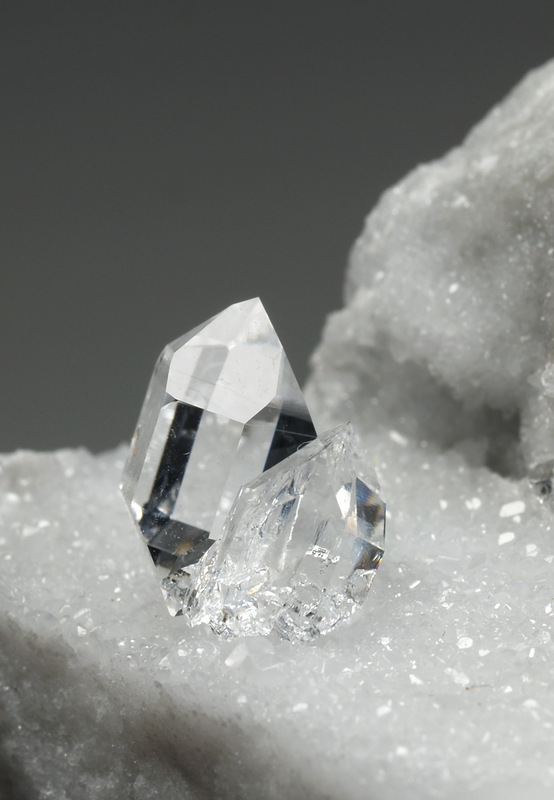 Among the best minerals we have fantastic quartz crystals, perfectly shaped. The beauty of these minerals is highlighted also by the white marble matrix that increases and amplifies the colors and the shape of the minerals. 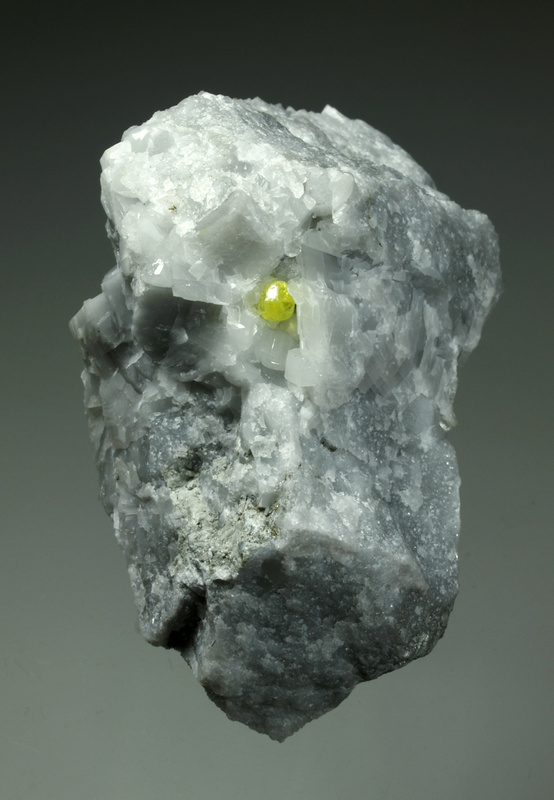 A very brilliant sulfur crystal disposed on a white dolomite and marble matrix. Well defined faces and edges, a little bit curved, good transparence and excellent classic yellow color. These specimens appear in vugs inside the Carrara marble quarries and it is not easy to get them without breaking them. An Italian gem. Size: 6,6 x 4,6 x 4,2 cm. 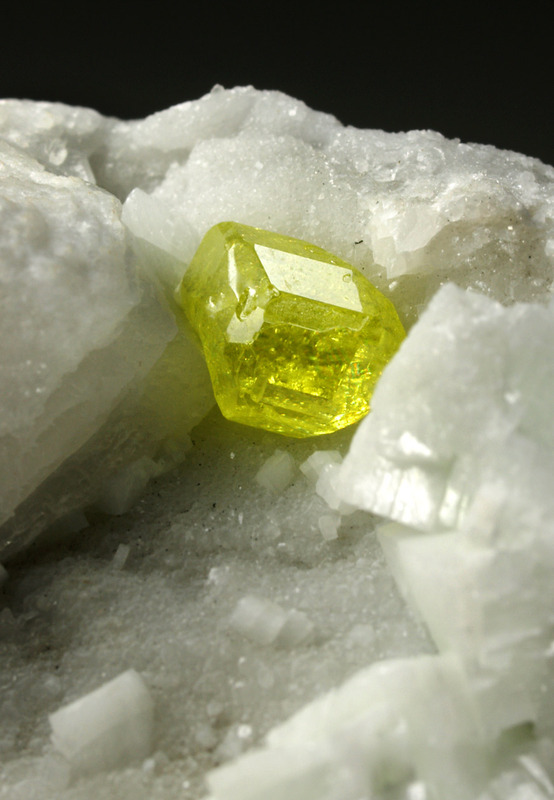 Main crystal: 4 x4 mm. 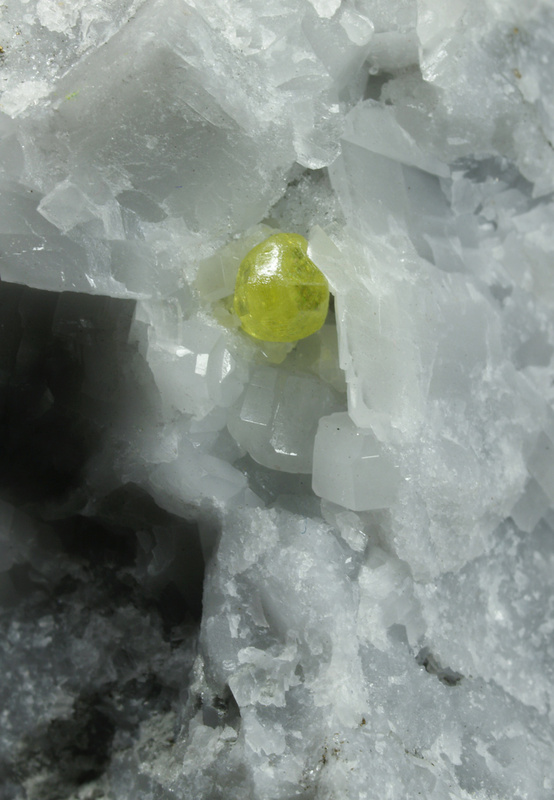 Sulphur crystals from the marble quarries of Carrara are appreciated worldwide for its gem quality. 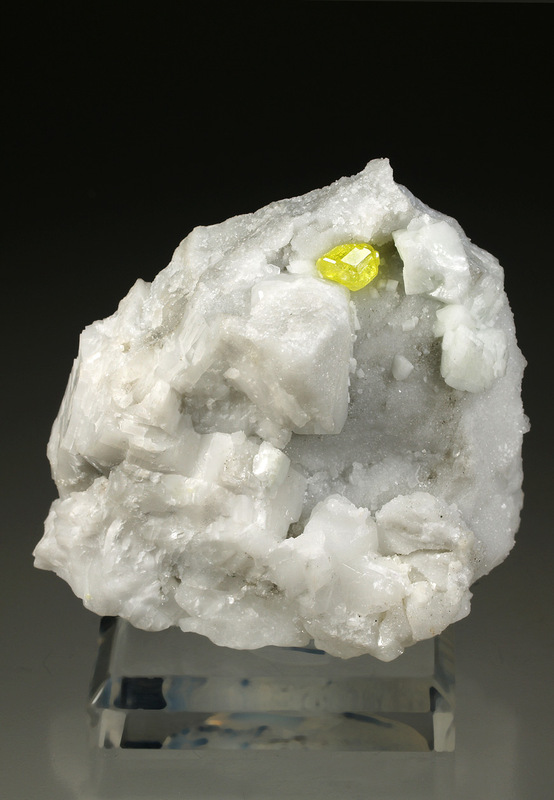 In this specimen, we offer a sulphur crystal perfectly disposed on the marble matrix. 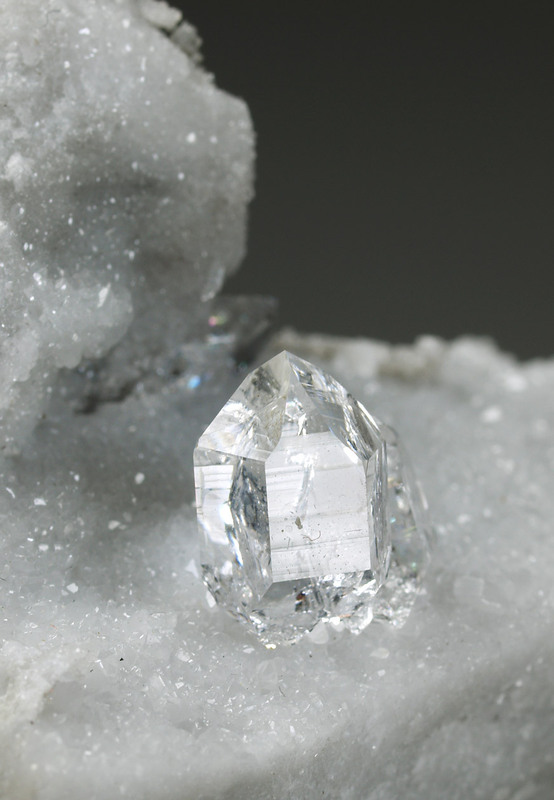 This crystal is very rich in complex well-defined rhombic faces. 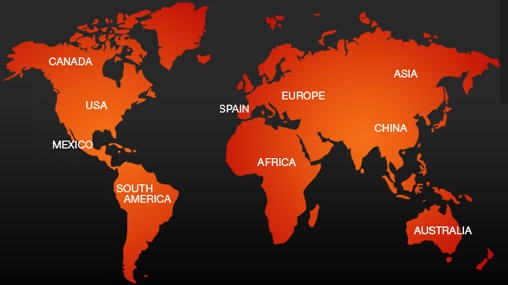 It is uncommon because they appears usually rounded. The brilliance and transparence are incredible. 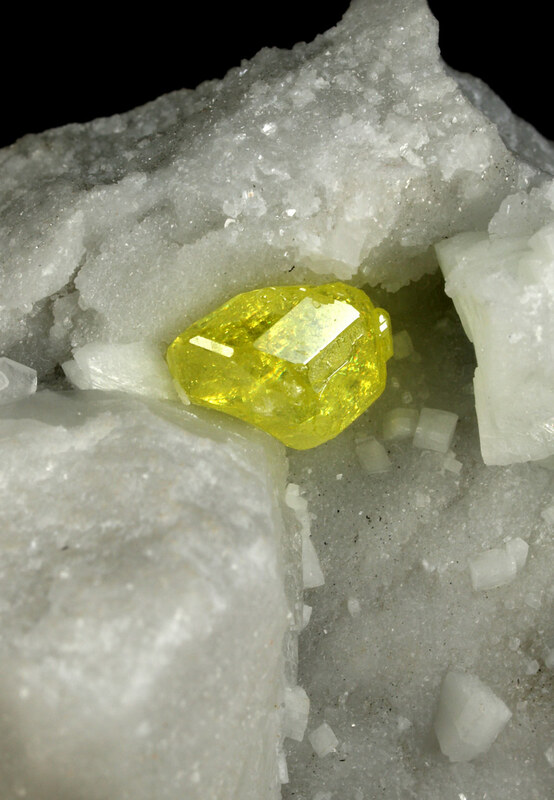 The color is intensely yellow, very characteristic of these Carrara sulphurs. An exceptional and definitive displaying sample, very rare on market, considering that in last years it has been found only few specimens of this size and quality. A great opportunity. Size: 7,2 x 6,0 x 4,3 cm. Main crystal: 9 x 7 mm. A high quality specimen from the famous Carrara Marble quarries of Italy. 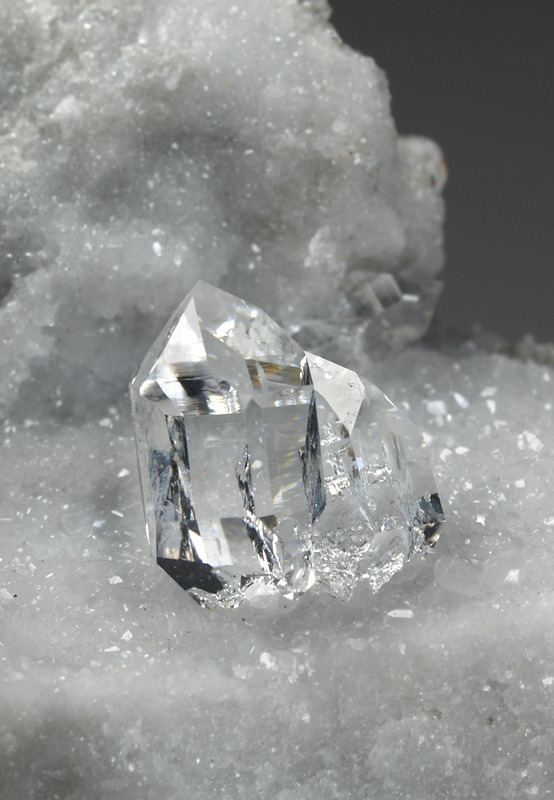 The ancients believed that the water solidified in the form of hyaline quartz crystals... Viewing this specimen, its purity, transparency, brilliance and perfection, perhaps we can understand their interpretation. 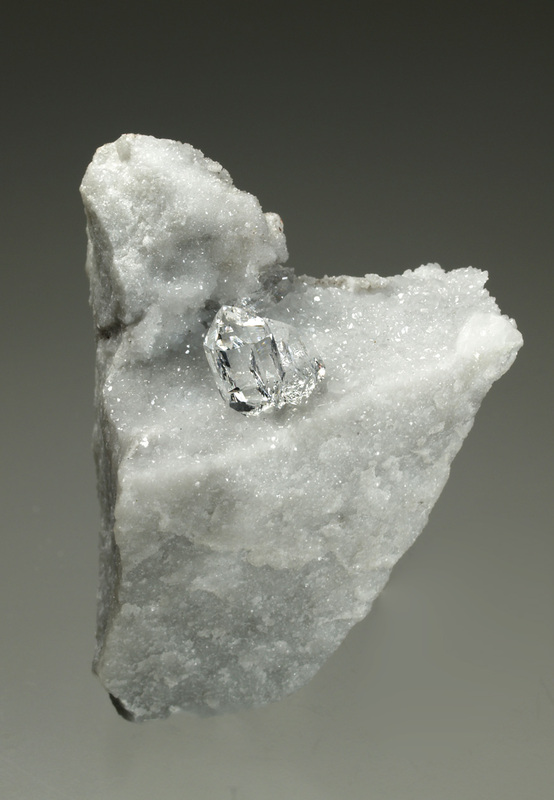 Undamaged crystals, one almost doubly terminated and on snowy white marble matrix, partially covered by tiny crystals of calcite. An Italian gem. Size: 6,0 x 4,5 x 4,0 cm.